Although it won moderately high review scores, and has had a cadre of devoted fans, Dragon’s Dogma has never quite received the wider love, attention, and praise it deserves. Overshadowed by the more popular, mega-budgeted Skyrim and unfairly compared to Dark Souls,Dragon’s Dogma Dark Arisen is a more focused and innovative RPG than Bethesda’s game, and has combat and challenge at least equal to that of From Software’s masterpiece. The original Dragon’s Dogma was released on last gen consoles and PC, and the Dark Arisen expansion added some graphical improvements and a large new island dungeon to explore. Recently re-released on PC, the game is now in its most polished and complete incarnation. Dark Arisen is actually a Japanese-developed game in the Western RPG tradition, and is set in a medieval fantasy world with the usual sword and sorcery elements, crafting, questing, and open world exploration. Dragons are attacking the land -- your character is a survivor of a vicious mauling -- and the story is fundamentally one of discovering why you survived, what your destiny is and how it is entwined with that of the dragons. There are some big surprises and in the end, the game takes a decidedly quasi-religious or spiritual turn. In the moment to moment, the quests and story are relatively banal but the bigger arc and meaning have an element of profundity. If its story isn’t earth-shattering, Dark Arisen innovates in some other fairly significant ways. Instead of competitive multiplayer or co-op, it uses a Pawn System. Pawns are semi-human AI allies. Your character has a main Pawn that always accompanies him or her, and you train, equip, and trade with the Pawn throughout the game. The Pawn levels alongside the main character. You may also select two other Pawns out of the ether, and they may be “free” AI pawns, or they may be the main Pawns of other players, sent into the ether to help players and earn experience and cash. The Pawns that you pimped out come back as better fighters, in many cases knowing the area and enemies in advance. Of course, if the game’s AI was bad -- we’re talking to you, Bloodborne NPCs -- the Pawn system would be a disaster, but that isn’t the case and most often the Pawns will use appropriate offensive, healing and buffing spells, ranged and melee weapons pretty effectively. They can heal each other as well, and usually do. Additionally, you can set the conversational parameters of the Pawns and their priorities in battle. The Pawn system works so well it is surprising no other games have borrowed it. Another area in which Dark Arisen innovates is in its use of the day/night cycle. Whereas in many games, “night” is represented by washed out colors and a dark sky, in Dark Arisen the nights are truly black, heavy, and ominous, with many creatures only coming out after dark. Lighting lamps or casting light spells helps you see the immediate area but makes peering out into the darkness beyond that much harder. The game constantly warns the player to rest at night and not venture out...then of course has several important quests that always end up in the dark out in the wilderness. While its landmass and map isn’t as sprawling as that of Skyrim,Dragon’s Dogma is dense with variety of animals and monsters and dozens and dozens of main and side quests. Thanks to the game’s excellent combat systems, even the grindiest of kill quests is fun. There is a dizzying array of combos and spells and special abilities to choose from and level and the combat is tactical, exciting, and often quite challenging. For good or ill, the game rarely distinguishes between an important main story quest and an optional side mission. It can be easy to miss something important or get a little lost as to what’s critical. No areas are gated and it’s very easy to wander into territory that is far too difficult. In its original incarnation on last gen machines, Dragon’s Dogma didn’t look great and in particular its character models were unconvincing. But thanks to the Dark Arisen improvements for current gen consoles and now PC, the game looks very good and runs flawlessly. With beautiful art direction and attention to environmental details, Dragon’s Dogma’s towns and cities look convincingly real and lived in. Character animations in battle are excellent and there are all manner of little touches that bring the animals and monsters to life. 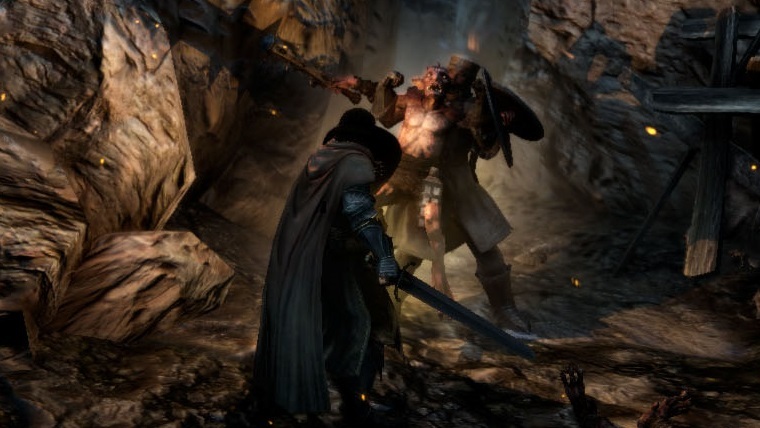 The Dark Arisen expansion introduces -- early on, not that anyone starting the game could survive it -- a new, mysterious island dungeon that has become a Dark Souls-like gauntlet for high level players. It’s entirely optional and best suited for those who have finished the vanilla game. When it was released as a PS4 exclusive earlier this year, Nioh was greeted by a generally favorable chorus of reviews. But it was complicated. In particular, fans of From Software's Dark Souls series were conflicted. For some, Nioh was a disappointing imitation of their favorite franchise; for others, they recognized that the game built a number of new systems on top of gameplay that was, admittedly, very similar to Dark Souls.